We did not have many blue-sky days in May, but late one afternoon at Enchanted Rock in the heart of the Texas HIll Country, we had this beautiful moment. 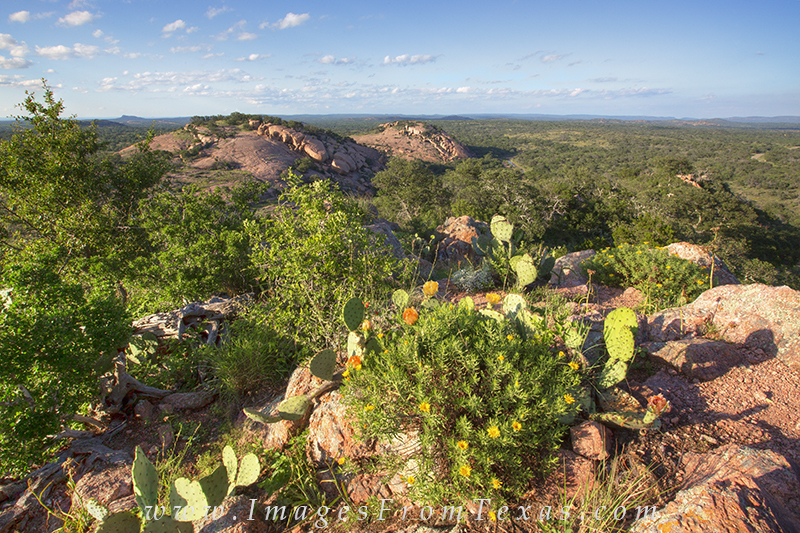 This landscape of the rugged Llano Uplift comes from Turkey Peak that sits next to its more well known neighbor. Photo © copyright by Rob Greebon.